Located in Lang, Saskatchewan, Norland Creek is proud to have been serving hunters from all over the world since 1996. 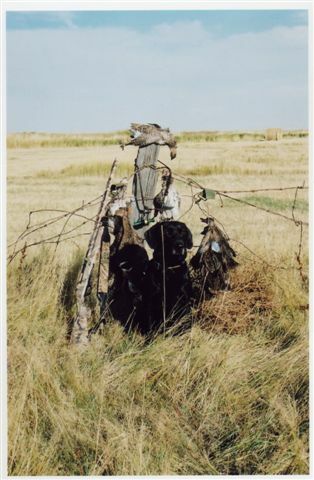 Ray and Judy Beck are your guides for this uniquely Saskatchewan experience and have a hunting adventure planned for you to treasure for years to come. Booked solid every year, with several repeat customers, this year will be no exception as Norland Creek is already 98.5% re-booked for fall! At Norland Creek, we pride ourselves on friendly, country hospitality and superior hunting and guide service. The Saskatchewan flatlands offer some of the best waterfowl hunting available and the "land of living skies" invites you to share in the experience of a lifetime. Our 2006 hunting season is fast approaching. We guide in Zones 1,15,16,18, and 33 for waterfowl and upland game. Our Saskatchewan Outfitters License is G8008. Deposits are due in early January, or upon booking. We had an easy winter until the end of December. Our upland game birds, sharp-tail grouse and Hungarian partridge population should be on the rise. Mark Beck will be guiding with us again this year and we are all looking forward to some good hunting! Please follow the links above for more information on this unique experience or contact us!